Today was awesome! While doing my rounds and daily tasks I was lucky enough to see the graceful Nectarinia famosa, more commonly known as the Malachite Sunbird. I stopped dead in my tracks as this beautiful creature entranced me with his fluttering wings and seemingly motionless body. It must be breeding season, because his body was covered in stunning metallic green plumage and his wings an even darker, blackish-green. These fascinating, monogamous creatures are quite territorial and aggressive when it comes to nesting, so his nest and mate must have been quite close by. I wonder if his mate was incubating eggs and if so, how many? I hope I get to see them when they are strong enough to leave the nest. 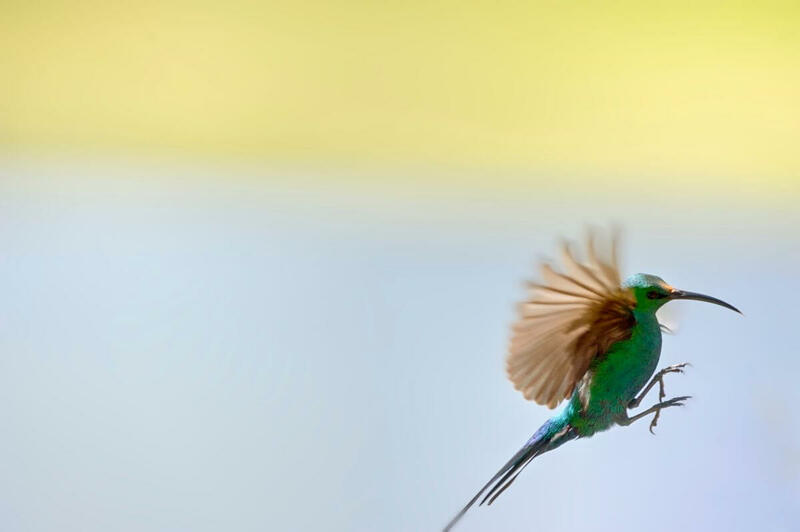 He was floating in the air, motionless, hovering in the same manner as a hummingbird. His wings and tiny heart working in over-drive. We were staring at each other wondering who would make the first move. I did not want to move at all. I could watch him all day! Unfortunately, I had to make the first move otherwise I would not have been done in time for the Rock Art Tour I was presenting at 10am. Our interaction felt like it lasted a lifetime, but it must have only been as long as a heartbeat. While walking away, I turned to look at the Sunbird once more, but sadly he was already gone. We are so blessed to have aloes and other plants with long corolla tubes at Kagga Kamma. They really allow everyone the opportunity of seeing these majestic nectarivorous birds as they feed off the rich nectar from the flowering plants. 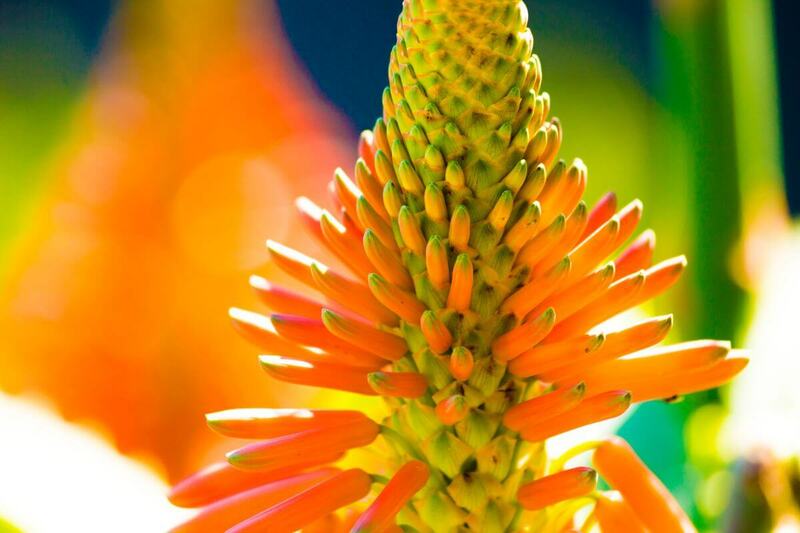 Only the sweet nectar from these aloes and other long corolla tubbed plants can support this wonderful bird’s high-energy behaviour. 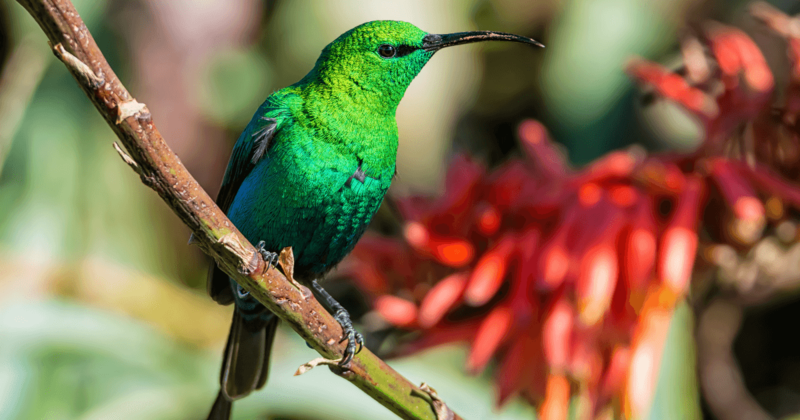 It is easy to see why the beautiful South African Sunbird could easily be confused with the stunning North American Hummingbird. They have developed similar characteristics after needing to evolve in order to adapt to their almost identical environments. I really do hope that more people get the opportunity to see this glorious little Sunbird. 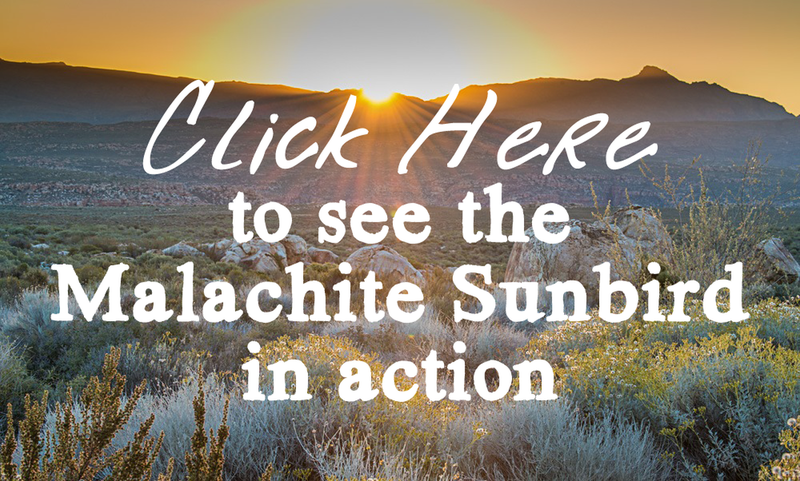 If you enjoyed reading this article about the Malachite Sunbird, you might also enjoy reading about some of the other magnificent creatures of the Cederberg.